Everybody is engaged in a social network these days, be it Facebook, Twitter, Youtube and etc. It's already part of our daily routine. I'm sure that most of you sign in to your favorite social networking sites everyday. I just found something interesting. 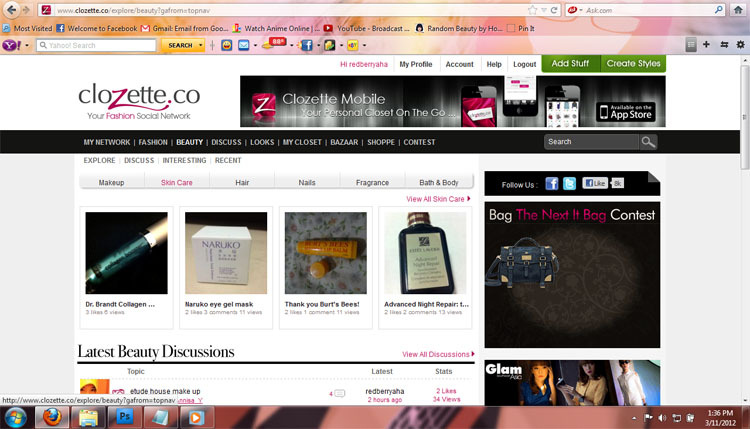 I stumbled on this site called Clozette.co, it's a Social Networking site that is specifically catered for Beauty and Fashion enthusiast. It's basically your personal online closet. I couldn't be more pleased! 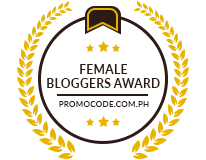 You can talk and share nonstop about beauty trends especially on makeup and even find how-to videos for reference. You'll get to meet new friends and fellow beauty enthusiast. 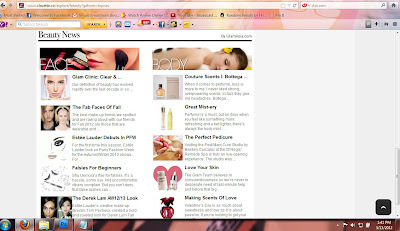 Discuss anything about Makeup, Skin Care, Hair, Nails, Fragrance, beauty tools, accessories and many more. One more thing that I like about their site is that it's very user-friendly, all you need to do is explore. You'll be up to date with the latest trends in beauty and fashion with the help of their Beauty News section. Here you'll find beauty tips and tricks, including interesting articles that is sure to help you. It seems to me that Clozette's Beauty Channel has everything that a Beauty junkie needs. There's even a "Looks" section where you can post your "Look of the Day". Another one the caught my attention was the "My Desires" section, where you can upload photos of stuff that you want to have. There's also the "My Closet" section where you get to upload images of stuff that you want to rave about. 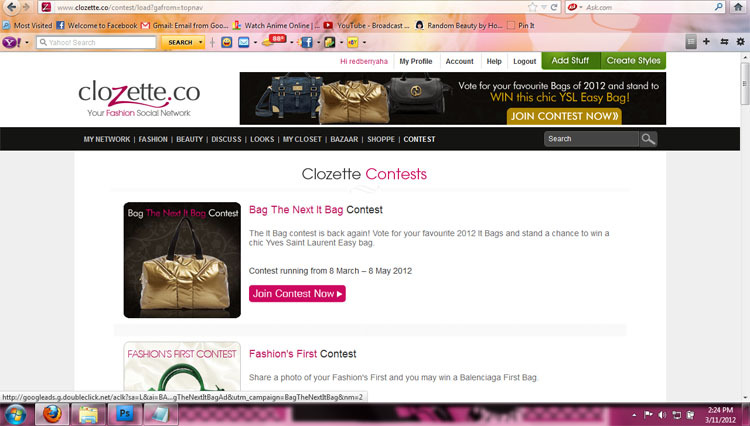 One last thing, they have Clozette Contests! Which means, you'll have the chance to win free goodies from Clozette.co by simply joining their contests. So don't wait, just click Clozette.co and Sign Up Now! There's absolutely no catch just pure fun. Hmmmm really interesting site. 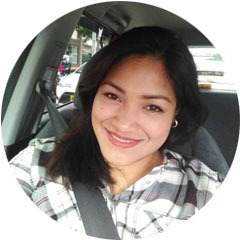 I don't like social media for personal purposes, but it is essential for blogs and businesses. thanks for sharing, there are so many social media sites now it's hard to keep up! ooo interesting! Do you know if they ship overseas? @Chococcuro, Yes they do... Clozette.co is targeted to Asian Countries so they ship out to Asian countries, I'm not sure though if they ship world wide.